Though for further, adequate and better reference to any other Lantern powers you guys may see this nice Lantern power usage videos. Also there is a unique machine gun FX as well some cool FXs. And thats pretty much it and please do try to help,you never know its always worth a try. Thanks again for all your help. You're not going to find anything that detailed for fx (especially not in regards to melee weapons as they would come out looking weird if they are not projectiles). The effects in your pics are a higher poly count. In a game like FF, that'd cause massive slowdowns. Also, there's the issue of nifs being needed, and meshers aren't as keen to make those for whatever reason. That said, I believe Ren made some plane fx that can be converted into a GL one, and you MIGHT be able to get a more up to date hand (and missile) FX if you can find someone to put in the work. Ok i understand prev you are infact absolutely right because i was thinking idiotically to compare a normal level super hero to high end next generation detailed graphical MMORPG like DCUO. But those Green Lantern FX really intrigued me and i wanted them really bad but then again you are right as it would n`t be possible to create such high level detailed Fx for . Then again where can i possibly find REN`s Plane FX and the others like the hand and missile you are speaking of? Secondly, Is there a chance to possibly convert the shuriken, the sword,axes and some other FX into GL related FX. Also Prev it didn`t really matter if the FX were projectiles and even beams or cones. 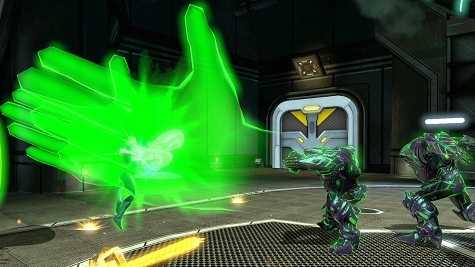 Also Is there a way to Create Kilowog `s Taser Sweep attack(seen in Green Lantern:Emerald Knights) as an area FX or if not which area FX would you suggest being used for it in the game? There's a Green_Gun FX located here that is meant for Lanterns. Thanks a lot cyber my buddy but i am really sorry for complaining but since there is no readme file i really don`t know the procedure for the configuration of adding a new FX in by using FFEDIT 2 .Could you be so kind enough to explain me as to how i do that? Much obliged. And are there any similar GL as well as Yellow Lantern FXs out there? Thanks Again for all you have done. i'll answer your questions when I'm more awake. Install directions for FX are ALL over Fxforce. Also, at some point a few years back, I made a bunch of simple Gl variation fx that are all packed up in PFX 1.2. Hey Prev, since you're the resident FX master, have you been able to get Bearded's Green_Gun Fx to work for ? Edit: I should have specified, what settings are used in FFedit as far as positioning to get the gun to show and stay? For what i think to make a related FX and nif files to work with though i know you would be aware of this and its really simple process 'would be by converting the nif files using EZNif Convert to make them work for .What do you think? Thanks Dan, but I was actually referring to "Attack Types" and "Node Attachment Points". Without conversion, the Green_Gun FX shows up, but just not where I want it to. Do you think its right but then again its just a guess? With those settings, the gun shows up for about a third of a second above the character's left shoulder, then disappears. That said, is anyone interested in having a Blue, Red or Yellow Gun? If so, I'll release those. Me Me Me Me ! I want it. I want them really really bad. EDIT: Also cyber another problem that arises is that when any hero or villain fires the green GL gun it actually fires a giant black square with a small pink box at its ends instead of a bullet or something. What am i doing wrong? and how should i resolve this? Done. Check my Yahoo group. Includes the 3 re-colored guns, plus the red daggers. My FX.Dat is included, but back yours up before merging the two. Also cyber another problem that arises is that when any hero or villain fires the green GL gun it actually fires a giant black square with a small pink box at its ends instead of a bullet or something although the animation and design of the gun is quite fine.. What am i doing wrong? and how should i resolve this? I have never used that FX. Sorry. DanZ, it sounds like you're missing textures. I'm going to answer your first post in my next post. Standby. To your previous post with all the questions: I'm going to go down the row and answer best I can with the allotted time I have. 1. Ren's toy plane fx MAY be on his backup yahoo group. There should be a link to those yahoo groups in the Promotions forum. The missile can be made from something in game or from a custom nif, if you can find someone to make it. Same thing for the hand. 2. As projectiles, yes. No problem at all. Find someone willing to nifskope that, recolor, and complete the whole thing as an fx package with a start/end nif. I released a weapons pack a while back (and it's in pfx 1.2), so some of the work is already done. There are also other weapon fx out there you might find amusing. 3. Haven't seen the video yet, so I can't opine on this one at this moment. Sorry. 4. RE: melee weapons - possibly, if the keys work and you can find someone to do that work via nifskope correctly. A lot of this comes down to finding someone who'll be willing to put in the work to do that, assuming you can't pull it off yourself. Unfortunately, I don't know what the problem is here. the Green_Gun included only the nifs, so it's possible that you are missing a texture or two from somewhere. I'll look into it tonight and see if I can figure it out. Check my FX folder in my Yahoo group, there is a file titled "Bearded's Green_Gun TGA files", add those to your textures folder and see if that helps. Maybe your right Prev, and in fact your 110% right as to the part ' where i can`t pull it off myself and might need someone`s assistance ' Damn man i am just a damn beginner and infact i have just started to learn the numerous concepts of FX and power animations. Yet i am really thankful for all your advices and help. So then here is an open invitation for everyone who is anyone who would be interested to assist and help me in the creation of any GL related FX? Please do PM me incase of interest. WOw! this is really awkward . What am i doing? Also Thanks a lot cyber for all your help as well and Yes the Problem has been resolved. Also i really like your Blue, yellow and red lantern guns. They really suit the leaders like Sinestro, Atrocitus and Saint Walker. Nice Job buddy! I'm still learning the art of FX creation, and can't make any full commitment, but what did you have in mind as far as your FX needs? As far as that goes, I can put a John Stewart or Hal Jordan body in place of the Kyle Rayber one on Mystic's skope. Yeah, that would be good as well. Also can you create sinestro in a similar fashion by attaching the keyframes of kyle rayner as well making him a sinestro corp in the process i.e a yellow lantern. Also can we attatch a giant hammer melee attack to kilowog more like that of kyle`s sword attack to simply make him look more intimidating? and Lastly what FX would you suggest to use Kilowog `s Taser Sweep attack as seen in the animated movie Green Lantern : emerald Knights in fact what i think it should be more of an area attack but still what would suggest? Putting a Sinestro body frame on Mystic's GL_Kyle skope...I can do. Giving Kilowog a hammer or other weapons, not without losing the GL animations. That's still above my current level of skoping. As for the taser FX, I'd have to re-watch the movie to see what you mean. Hi CB, i was still trying to figure out how to show or explain you some new ideas regarding some GL FX but then again saw your new skope at the 'What you`ve skoped lately` thread i really love your sinestro with that chain saw. If you have no problem or are absorbed in the completion of its final stages could you please send it to me at my email : nova.rocker@hotmail.com. Also did you get enough time to watch the Green Lantern movie? Also buddy could you be kind enough as to guide me where i could learn skoping or hex editing so to speak and though i am still in the process of learning still its never late to try. Thanks a lot again CB! Haven't had a chance to re-watch the movie yet, maybe next week, time depending. As for sending out my skopes, they aren't quite finished yet, so I have to wait on that. Sorry. Hey Dan, I'm working on Shuriken FX for the Lanterns. I have Red and Green and am working on Yellow, are thee any other colors you want? Umm...well since you are asking so nicely CB! Wow! Dude thats great and in fact Thanks a lot! that you have also put my project under consideration and you have helped quite a lot with it as well. Then again, if you have time bro , could you also pull off Shuriken FX in Blue or maybe Indigo perhaps? Thanks again for asking buddy!